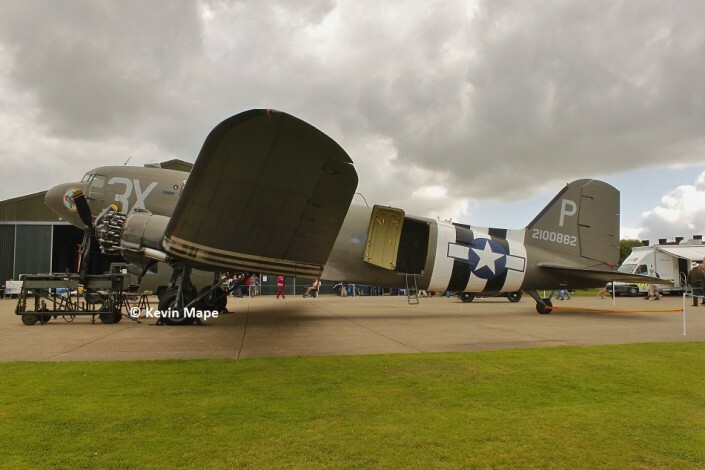 42-100882 C -47A “Drag-em-oot” 87th TCS (N473DC) – East Kirkby 11th September 2014. I had a great private visit today to have a close look at a superb preserved, Airworthy Douglas C-47A N473DC , This C-47 rolled off the production line in 1943 and entered service on the 28th December 1943, 100882 was fitted with Model 80 Glider retrieve equipment so it could recover downed Gliders from the Battle field. It was first issued to the USAAF serial 42-100882 and It’s first unit was the 87th TCS based at Greenham Common in Berkshire it carried the code 3X-P and was named “Drag-em oot”. 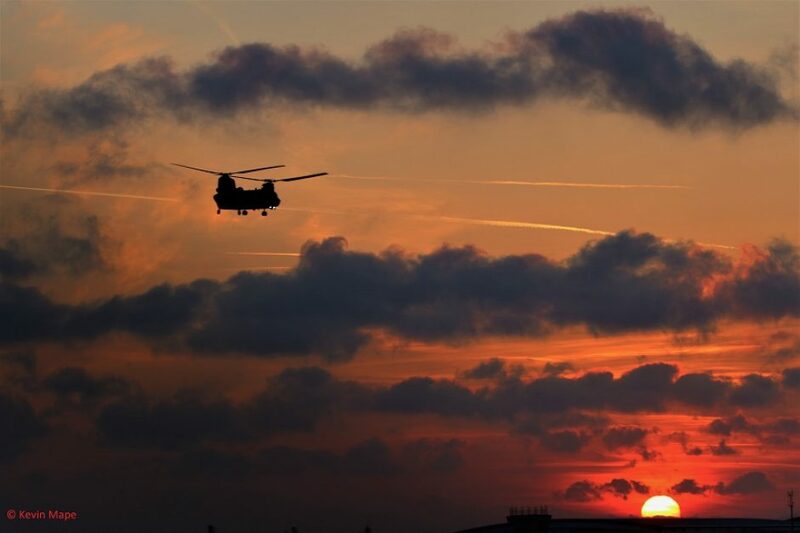 100882 flew with the lead Sqn on the 6th June 1944 on first day of the D-Day Normandy landings, On the first of two missions it dropped 18 paratroops of the 82nd Airbourne Division near St Mere Eglisa just behind the D-Day Beach heads. 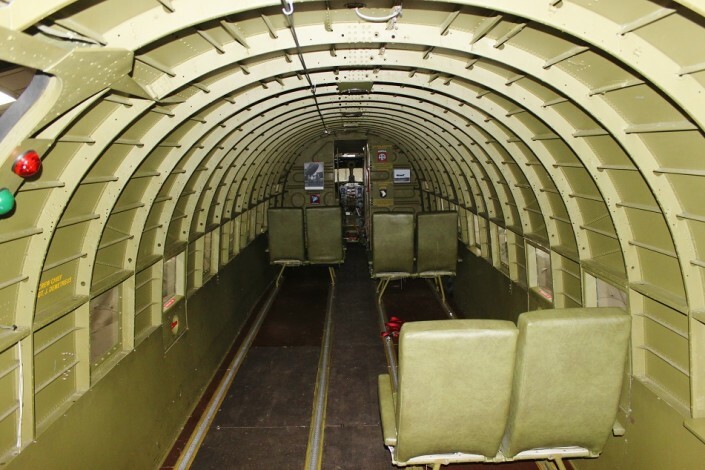 The C-47 was then used in re-supply missions as well as bringing out the wounded troops. The next stage of It’s long service had it transferred to the RAF in September 1944 and was given the RAF serial TS422 and became a Dakota III, This was issued to No.1 Heavy Glider Servicing Unit and with another UK based surviving C-47A 42-100884 that also became a Dakota III TS423 (G-DAKS) and was based at Netheravon. TS422 was used to recover Horsa Gliders from the Normandy Beach heads. Another picture of 2100884 in RAF marks taken at North Weald 9/6/2007 in RAF D-day markings as TS423 – N147DC. 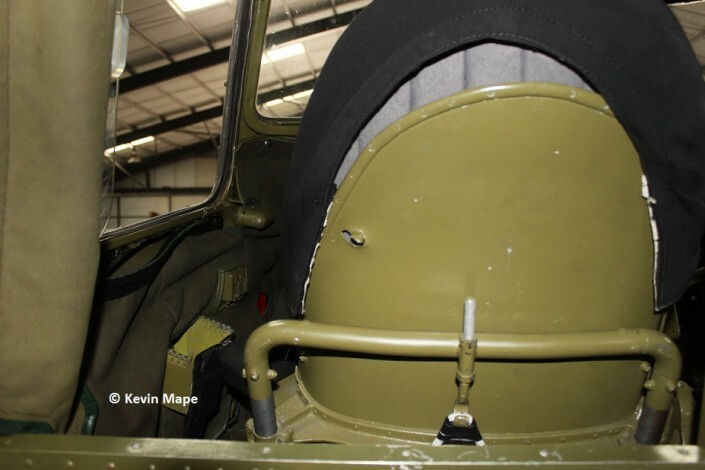 It was around this time the C-47 882 received battle damage with bullet holes from ground fire and a attack from a German Fighter leaving holes in the upper cockpit and the left hand seat, These repairs are still to be seen today and the hole is still in the left hand pilot seat. 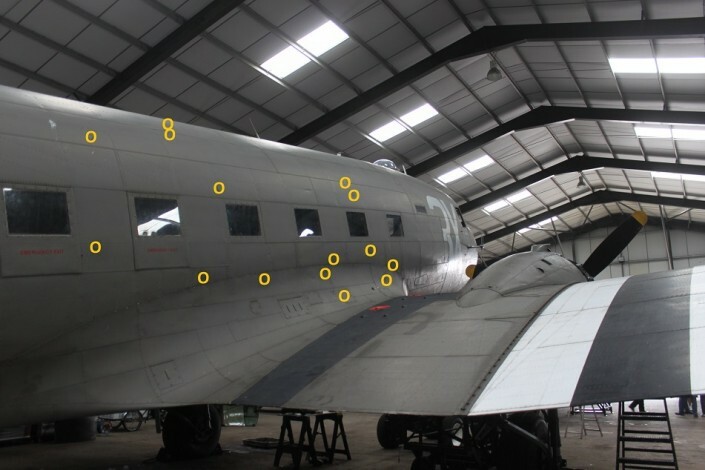 The yellow circles in the photo’s denote bullet hole repairs from damaged sustained flying over Normandy. Bullet hole repairs on the other side. There are more repairs along the Fuselage and wings, They were tough these Dakota’s. 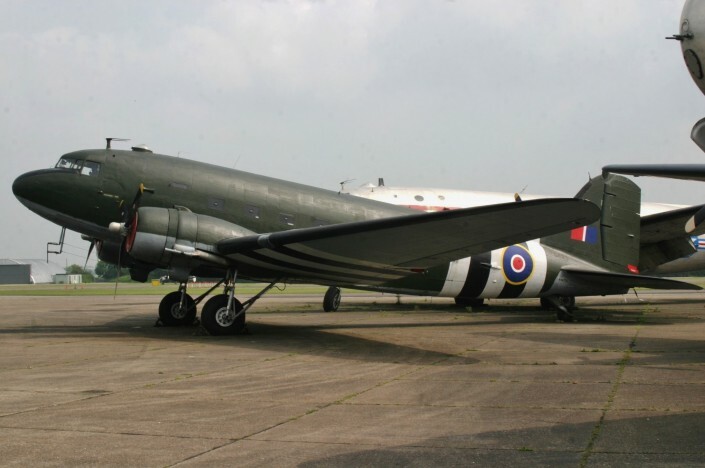 The next owner of this Dakota was the Royal Canadian Air Force, She was transferred in August 1945 to 435 Sqn after the units return to the UK from operations in Burma. The end of World War 2 saw the Dakota return to Canada and was used in numerous roles including Transport, Training and was Jato equipped for Search and Rescue, She was also skie equiped. TS422 was retired from RCAF service in 1966 and entered civil service with it’s first owner Keir Air Transport in Edmonton as CF-KAZ. I have listed all the operators while it operated in Canada. Trans Provincial Airlines – retuned 1975. In July 1976 it was reregistered C-FKAZ. 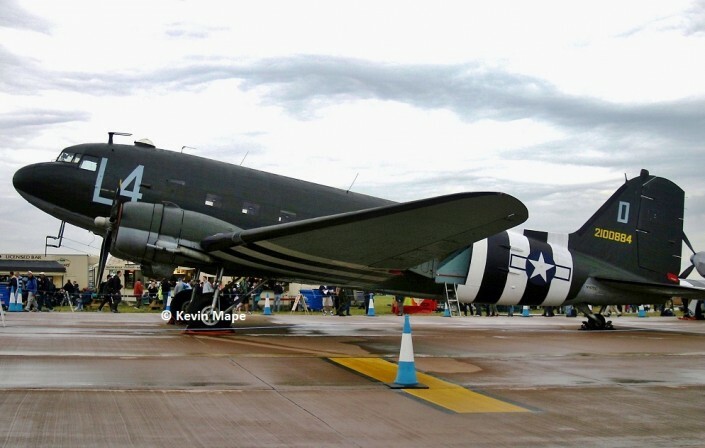 The C-47C was then sold in the USA to Air Siesta Incorporated and re-registered as N5831B. John J Johnson- 27th Sep 2002 . This was a very important twist in the history of this Dakota as it was it was at this time restoration work was started by John and his wife at Avra Valley Arizona and at this time all the paint was removed, Over the two years a new floor was fitted, Astrodome was found and installed, New plexiglass was installed into the rear fuselage, Vertical stabilizer was replaced and most of the external nuts and bolts were replaced. It was later purchased for UK based owners and registered to Dakota Heritage Incorporated on the 30th Jun 2004.The delivery to the UK started from Arizona on the 24th May 2005 , It’s first stop was Great Falls Montana then stops at Saskatoon Saskatchewan Canada, Churchill Montana, Iqauit Baffin Island, Sonderstorm Greenland, Reykjavik Iceland and then on to Wick Scotland, It’s final destination was Liverpool Airport at which it arrived on the 1st June with nearly 34 hours flying time on Delivery. Keenair had offered apron space for N473DC, The aircraft moved to North Weald for restoration work and went to Church Fenton for painting into it’s present USAAC markings , 42-100882 was back in the marks of the 87th TCS.The next base was to be Humberside Airport. 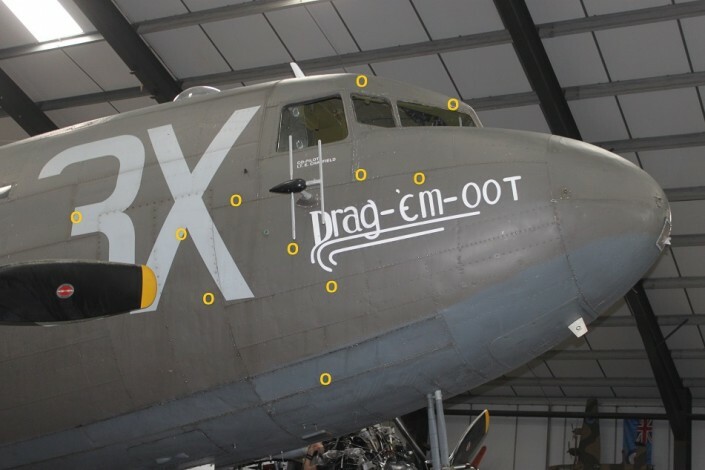 on 1st June 2008 Drag- em-oot found a new home at East Kirkby the home of Avro Lancaster NX611 Just Jane , Since then this C-47A has been seen by thousands of people at many events both home and in Europe and is still used today as a Paratroop Carrier.